Our serviceman was very polite and respectful of our home. Friendly and caring staff. Willing to work with their customer’s schedule. Very professional - friendly and most importantly they explain everything and the reasoning behind it - no wonder they have such great reviews on google and Facebook! Catseye is awesome. Exceptional customer service and exceptional results. Joe was excellent an walked me through exactly what kind of bugs we had an exactly what they were going to do to get rid of them. The next day Mike show up an did exactly that. Haven't seen a live bug since. I would highly recommend Catseye for pest. Michelle C. in Estero. We are soooo happy with our service from Catseye! Our technician was knowledgeable, professional and awesome! Our ants are virtually gone! So so happy. Thank you. Previous service was a waste of money. They are great. I have recommended them to my neighbors. Service great. Efficient professional and took care of the problem! Luis ( Technician) great! Very satisfied and happy with the excellent service I received from Catseye. 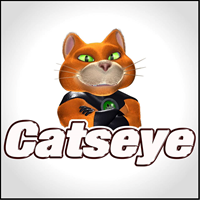 Catseye was dependable, prompt, and very excellent at solving my issue. I highly recommend Catseye. I dealt with Jayson, Jeff, and Robert they were efficient, polite, and made me feel completely satisfied with their work. the best of the best! thank you. Caring, concerned, determined to solve issues, dependable! I am appreciative for their work for my home ! A very well run service. Technician is terrific!! These guys are great! After having many homes along the way, and many pest control companies as well, I decided to give Catseye a try since my former company was not doing the job they way they was once did. Understandably, I could probably be viewed as a "clean freak" but both Mike and Joe I believe picked up on that and have been doing an awesome job, both on the interior as well as exterior. Do yourself and your home a favor, call them and don't bother with any other company here in South Florida, they really are awesome to work with...TMF/Bonita. We are very happy with your service. Your patience is also appreciated. We have not been able to find an installer for the two doors that need to be replaced. We are on “lists” but so far nothing. Believe me, we WANT these replaced ASAP. Great service for bee removal and the process is explained prior too. I believe the service was excellent. Bye-bye wolf spiders! Super friendly and trustworthy staff. Definitely noticed they are given the time and resources they need in order to do a thorough job, not just breeze through. Highly recommend! Jason does a very thorough job and is very friendly and happy. Catseye is an excellent pest control company. No more bugs. Thank you. The catseye team is very thorough and knowledgeable. I had an infestation with weevils that they handles easily when my last pest control company was unable to control. Highly recommend this company. Very thorough. Was able to get quick appointment. Always on time and have been bug free since I’ve had you guys doing my pest control. Great customer service. Very thorough in the detail of service. Highly recommended. The service tech was very knowledgeable, and thorough. I have been using your company for about three months. So far we are very happy with Catseye. Thank You! Always so polite...always working around my schedule. I love this company. Catseye does a great job. Catseye is not the least expensive option, but they are fairly priced, and in this case, you definitely get what you pay for. We have been very happy since we switched from another pest control company.